UPDATE: On February 9, 2018, Jason Scherer won the 2018 King of the Hammers joining an elite list of two & three-time Kings that includes Randy Slawson (2), Loren Healy (2), Eric Miller (3) and Shannon Campbell (3). 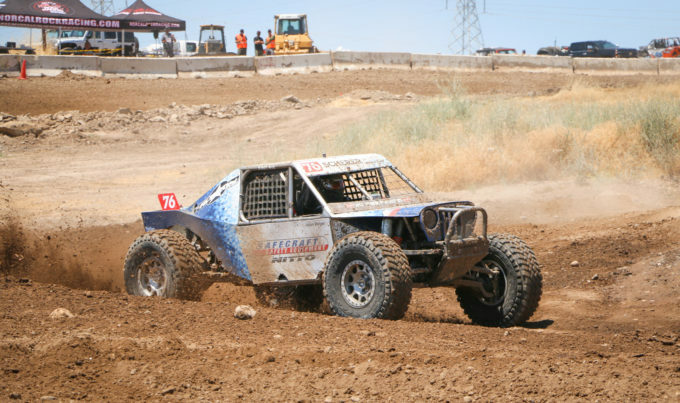 Professional race car driver, 2009 King of the Hammers, Ultra4’s 2016 National Champion, and a Modern Jeeper, Jason Scherer, didn’t even have a car to race on day one of the 5th Annual Metalcloak Ultra4 Stampede held May 9 & 10 at Prairie City SVRA in Northern California. While getting ready for his afternoon practice, the new motor in Jason’s race buggy decided to hydro lock leaving Jason without valuable seat and practice time before the main races on Saturday. “It didn’t go as planned,” chuckles Jason. 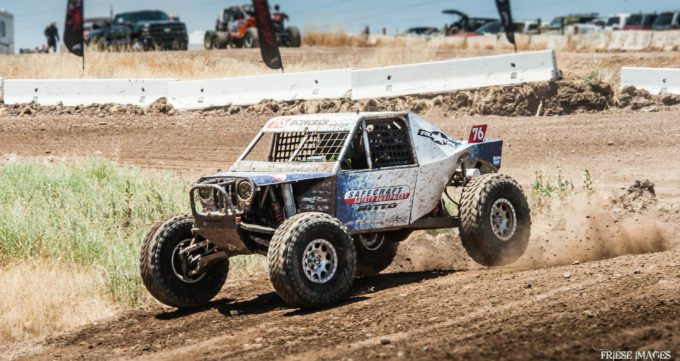 The Metalcloak Stampede runs a tight two day schedule – day 1 includes practice runs and the all important qualifying runs.Jason’s car showed up at the racecourse that day around noon – missing any opportunity for a practice lap before the qualifiers. After a few casual laps around the pit area, Jason returned to his pit to get suited up. Roaring to go, he jumped back in the driver seat, hit the starter butto… and… thud! “We attempted to restart the engine, and it was obviously hydro locked. 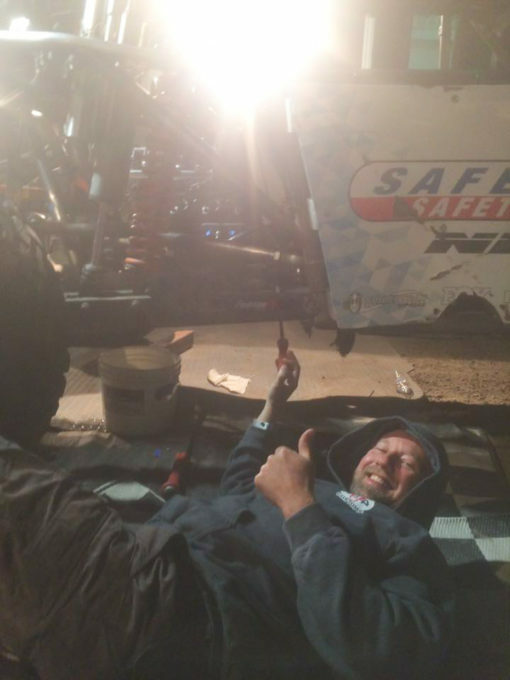 My crew pulled all the spark plugs and found cylinder #1 full of water” Jason explained. With the unfortunate surprise, the team decided to pull the cylinder head off the engine and, after isolating the failure, Jason articulately applied the perfect amount of JB Weld inside the intake port where the water was leaking through intending for it to dry overnight. Five guys from the team including Jason tackled the tedious task… in the dirt… until 3 in the morning (around 1 a.m., the team insisted Jason go to bed). “They let me stay somewhat rested,” he stated, “and that was rad! I know I have a really good team… the difference is in years past, between what’s happened with Ultra4 and the team being so awesome and what it was when we started, those guys know that my work is done on the track, not wrenching on the car. Come Saturday morning, the guys were all wasted but they did their job on Friday night and I got to do my job on Saturday.” The team put everything back together Saturday morning… and fired it up. Luckily, the JB Weld held! RACE DAY – HEAT 1: Jason started dead last in his first heat on Sat. “The motor was running great!” he said. So great in fact, that by the end of only his second lap, Jason moved up to take the lead! Having missed practice the day before caused a little uncertainty and disorientation on the course. Jason drove his first 2 laps concentrating and focusing so hard on picking off cars, that once he got the lead, he didn’t know which way the course went. “It made it really funny” Jason hysterically recalled. Winning his heat race, Jason will start 3rd in the main. It appears Jason and his Rage 4th team have all the talent and tools needed for success… which in this case… you can never have too much of!